Citica reels are known for their reliability. Over the years the body of our Shimano Baitcasting reels has become smaller, while the gearbox has become larger. 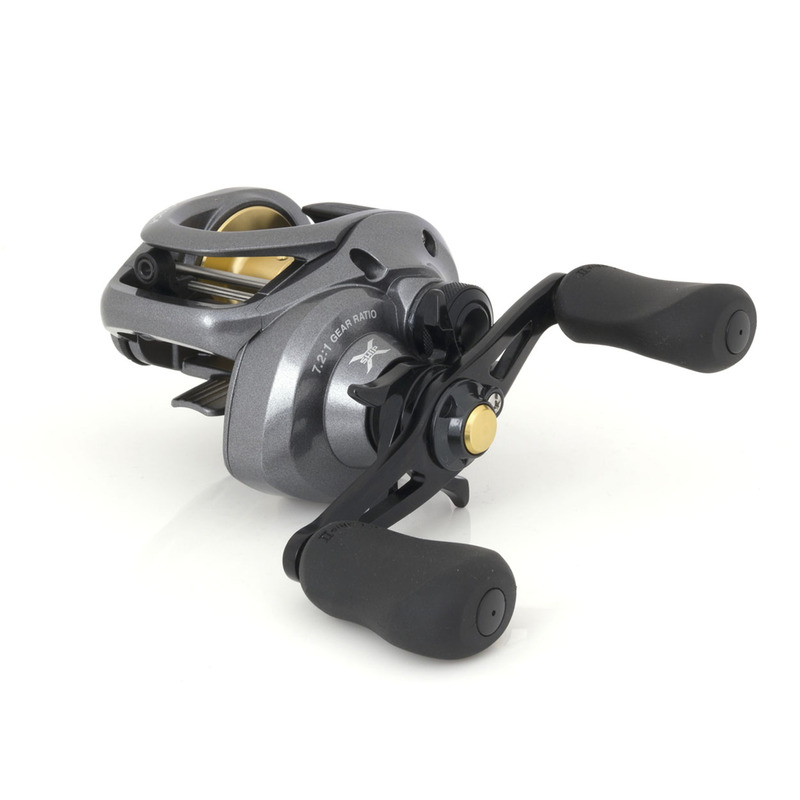 The new Citica 201 HG left handed reel has an incredible gear ratio of 7.2:1 and offers the power and directness of a multiplier reel with the speed of a fixed spool spinning reel. With its diecast aluminium body and X-Ship gearing, the new Citica is set to maintain it’s reputation and one of Shimano’s most popular baitcasting models. The Super Free bearing supported pinion gear system (SF) was designed to eliminate friction on the spool shaft during the cast. In standard baitcasting reels, when the clutch bar is pressed down, the pinion gear is freed and can actually drag on the spool shaft, creating friction and limiting the length of the cast. With SF, the pinion gear is supported by a ball bearing, and when the clutch is disengaged the pinion gear and spool shaft are kept in precise alignment. The result is zero friction on the spool shaft for increased freespool. The precision engineered main Hypergear transmits more power from the handle to the rotor. Designed to exacting tolerances, it requires less effort but returns more retrieve playing torque with vastly reduced component wear. Super Stopper is a oneway roller bearing that eliminates backplay for solid hooksets.